The latest and greatest from Google AdWords: Click-to-message ads. Earlier this year, Google announced a new beta that would allow advertisers to augment their search ads with an SMS feature so customers could send the business a text message. With Google Consumer Surveys reporting that 65% of customers would rather learn more about a product or service through a message, it was only a matter of time before such an extension was developed. After a couple of months of successful testing, Google is now rolling out click-to-message ads out globally. So how do these click-to-message ads look? Google played around with a couple different layouts throughout the beta testing and promises to keep testing different layouts, but it looks like the final layout has the feature sit at the bottom the ad, accompanied with a custom call-to-action. When a customer taps the message icon on their phone, the texting feature of their phone is opened with a pre-populated message (as set by the advertiser) to help streamline conversations even further for the customer. For those who are looking to send a more creative message, the customer will also have the opportunity to edit the message before sending it off. Be sure you are catering to your mobile customers and take advantage of this stellar feature today. Stay tuned for some best practices and initial performance highlights! How do customers remember your brand? What jumps out to your consumers and sets your company apart from your competitors? What are the benefits that set your brand apart from others? These are the types of questions people responsible for positioning brands focus on. Google continues to roll out its ever-growing portfolio of services, introducing a unique advertising opportunity for marketers in the automotive industry. And they’re doing it through one of the country’s most used email services: Gmail. The result is Gmail Sponsored Promotions (GSP). Now you can catch your customers at the breakfast table or on the bus each morning as they scroll through their messages, serving them up engaging, full-page ads and ensuring your business is kept top of mind throughout every step of the car-buying process. And now the main course, where you convert! The expanded ad is your chance to provide a persuasive and memorable user experience through your expert use of images, videos, and links to your website. This can be as simple as a standard image ad that can be found across the Google Display Network. Or, with a bit of coding and graphics knowledge, you can build something eye-catching that functions as a mini landing page, providing engaging information and a contact form. What are even more impressive than the endless options in such a large, rich media ad are the ways in which you can target these ads across Gmail users. Gmail Sponsored Promotions uses the same targeting options as Google Display, singling out desired users based on filtered searches for interests, locations, and income-levels. It’s not poaching customers; it’s showing them better choices. Want to serve your ad to people who’ve already been in talks with other dealerships about getting information on pricing, or setting up a test drive? Keyword Targeting will let you do that; up to 500 unique keywords can be targeted and GSP will comb through the user’s 300 most recent emails to determine if they have had any correspondence related to your keyword or keywords of choice. Determined to win customers over from a specific competitor? Through domain targeting, you can target specific websites found within the user’s inbox. This is great if you’re interested in getting the attention of users who may be receiving newsletters as part of a specific mailing list, or who might have a relevant website found somewhere in an email signature; just add the domain you’re interested in et voila! You’re now introduced to new potential customers. 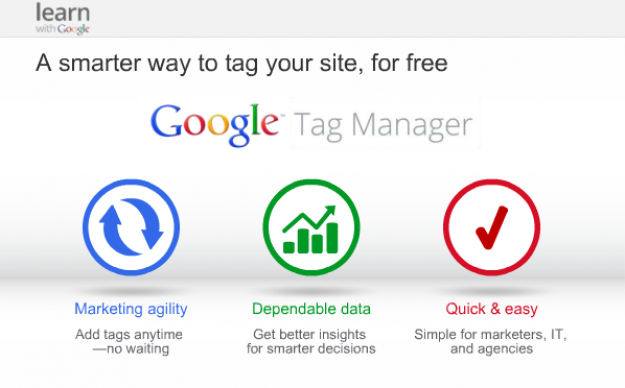 Google continues to make it as easy as ever to reach potential customers with your message of choice. 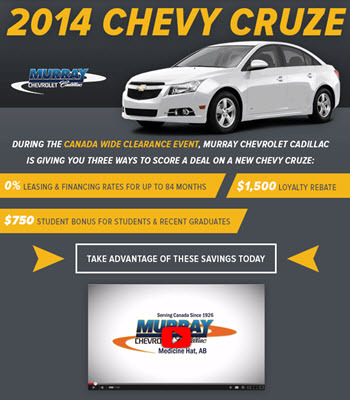 Contact Strathcom today to take advantage of Google’s Gmail Sponsored Promotions! 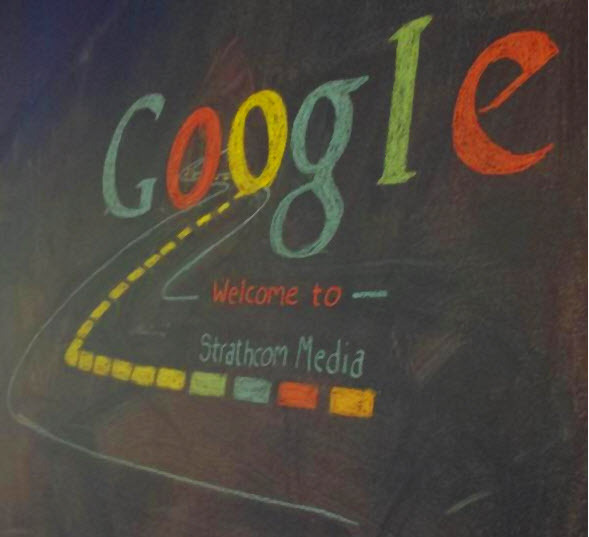 As you might be well aware, Strathcom Media is a Google Channel Sales Partner. We work directly with a team from the world’s most popular search engine to ensure our clients receive all of the latest beta roll-outs, benefit from extensive audits and testing, and have access to the highest-level support. Being on the Google Partners list comes with plenty of responsibility, and keeping our staff up to date on the latest innovations is key. So this week we welcomed Google to our office to meet with our Adwords Certified Team to learn more about what is coming down the pipe and what that means for our clients. Imagine if you could target Lexus or BMW ads to those in your area who make over $100,000 a year? Well soon you can. One of the most exciting features to enhance your AdWords Return on Ad Spend (ROAS) is the ability to target a user based on their estimated household income level and show them relevant ads. 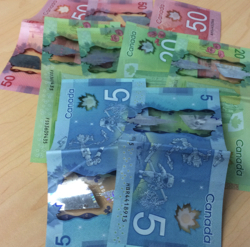 The income data is currently available in the US and provided by the IRS but should be rolled out in Canada by the end of 2014. This also can work in the other direction: for instance, targeting middle- to lower-income neighbourhoods to show ads for subprime financing, first-time car buying, and anything thing else that might apply. The recent upgrade for Google Places to Google My Business will be an important factor during the next 6 months both for SEO and Paid Search. Make sure you have properly migrated your profile over to the new platform in order to ensure you capture these new benefits, such as location extension linking and enhanced map functionality for mobile. Strathcom will be rolling out a series of events this year to give our dealers the inside track on the latest and greatest Google developments. Our first event this fall will be held at the Google Offices in Toronto, and it will give dealers a chance to ask questions and better understand what Adwords is and how you can use it to help grow your business. Google’s training team will provide the presentations. If you’re interested in registering for this free event, click here. Get the Jist on Google From Us! There’s much more coming out of the Google funnel, and we here at Strathcom Media are constantly evolving and trying new things like A/B Testing and UX Testing, always ensuring that our clients are on the cutting edge of the latest developments. If you are interested in attending a joint Google-Strathcom event, or if you just want more information on Google products, please feel free to reach out to me at trish@strathcom.com! It’s time to demystify remarketing advertising. It’s not magic. Nor is it some new form of alchemy to spawn gold from a few base elements. But it can still spellbind customers who would have otherwise left your website to go onto other exploits. Remarketing, also known as retargeting, lets you send display ads to users who have visited your website and then left to browse the web. Through remarketing you can develop a personalized campaign that delivers display ads to people who have shown a particular interest on your website. For example, say you own a car dealership and a user is searching your website for a 2013 Nissan Sentra. If they decided to leave your website and browse the web, the same Sentra that they were viewing in your inventory could be delivered in the form of a display ad on another web page. This encourages them to return to your website and make the next step in the purchase process. Now doesn’t vehicle remarketing sound awesome? The answer is almost always yes! Remarketing is a great way to shift some of your print advertising budget to the online arena. You could compare it to cold calling a customer versus contacting someone who has recently inquired about one of your services. Users who have already visited your website and shown an interest in your products will be much more open to an advertisement inviting them to return. Statistics show that 95% of customers are likely to leave a site without making a transaction. Statistics also show that users who are the subject of remarketing or retargeting are 70% more likely to complete a purchase. To start retargeting users on your website you put a piece of code called a re-targeting pixel on a specific part of your web site. As users visit this page, the code sends a tracking cookie to that user’s browser. As they visit other website, the cookie calls up display ads related to an offer or item that they viewed on your website. Google has a nice video description here: A variety of user actions can also be chosen to trigger the remarketing process, whether it’s a specific button or just visiting a particular page. The important thing to remember is that while remarketing will not bring new users to your website, it is still an important part of your online advertising effort. Your best chance for success is using a combination of tools to both bring in traffic and then retarget individuals. Remarking vs. Retargeting Advertising: What’s The Difference? Let’s get something straight: the terms “Remarketing” and ‘Retargeting” are essentially interchangeable. While some sources would like to tell you there are notable differences, when it comes down to it they are different titles for the same thing. Google generally refers to this type of advertising as remarketing, and Google’s word is gold. Remarketing is great, but it can go too far. To keep your customers from showing up on your doorstep with a lynch mob in tow, there are a few things to avoid if you want to keep them happy. Don’t let your ad frequency get out of control. Manage how many times your customers will be exposed to a banner in a 24-hour period. You should maintain a “healthy relationship” with your customers. Don’t let your ads become stalkers, following your customers around the internet wherever they go. It can get creepy. Give users a rest. Anyone can have too much of a good thing. If your customer has already purchased a product from you, give them a break from related ads for similar products and services. While your buyers shouldn’t be forgotten, they shouldn’t feel harassed either. Make it easy to opt out. It should be possible for your users to opt out of a campaign completely. Make an easy one-click solution either right on your ads or on your website. I’m off to the Search Marketing Expo West edition in San Jose California March 11th to 13th, 2013 and I’m ecstatic to be attending my first SEO conference. Having worked in the SEO industry since early 2010, it’s long overdue. The Search Marketing Expo is a conference for Search Engine Optimization (SEO) and Search Engine Marketing (SEM) folks who have careers in the online marketing industry. It is three full days of over 50 sessions and keynote presentations. SMX West was created by the editors of Search Engine Land, a website that many search marketers trust to deliver credible information in the online marketing industry. There are so many interesting sessions that I’m having a hard time deciding which to attend. My goal is to bring back the most benefits for our dealers, and I wish I could take in every single one of the talks! One of the talks I’m most excited for is “How To Groove To The Google Dance.” It discusses Google’s many algorithim changes which on a near-weekly basis, and will help answer the age-old question of how to keep Google happy and save our dealer sites from the penalty list by using White Hat SEO tactics. The famous (in the SEO and SEM industry) Danny Sullivan from Search Engine Land will be moderating this talk. Another talk that intrigues me is “The Search Police: Matt & Duanes’ Excellent Search Engine Adventure” by the ever so famous Mr. Matt Cutts, the head of Google Spam, and Duane Forester, the manager of Bing Webmaster tools. Matt and Duanne will be sharing examples of what not to do on our sites and why. I’m going to ensure that I get a front seat for this talk, so I can totally nerd out. Stay tuned for more blog posts on the conference and awesome SEO tactics and rules to help get your car dealership to rank and bring in more converting leads.